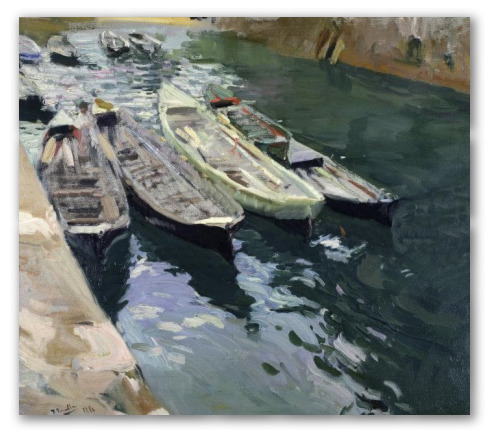 "Boats at Rest" by Sorolla, Beautiful River Painting. 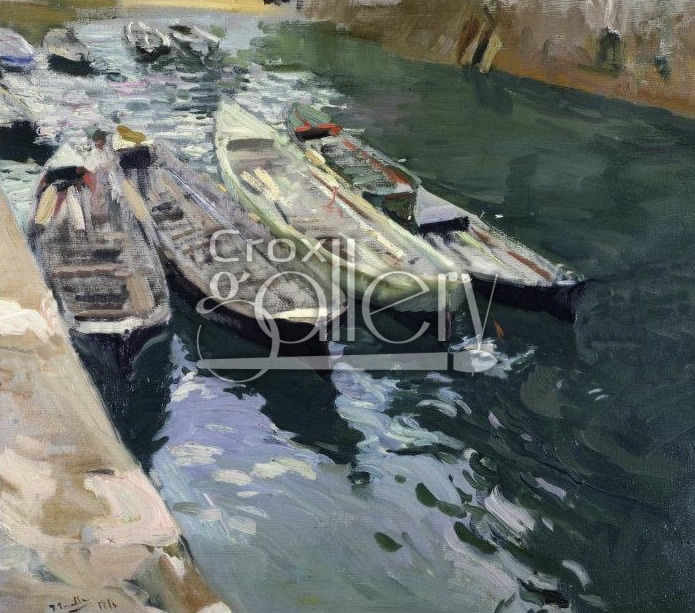 Boats at Rest is a painting that shows empty boats moored at the shore. It reflects tranquility, an always welcome feeling. This work of art was painted by Joaquín Sorolla y Bastida.